I have been asked if I there is going to be a Secret Santa 2012 version, and I must say that my initial reaction was not to. You see, last year some people who received gifts did not send one and that in my mind defeats the object. But, on second thought I have decided I will put out one appeal for Secret Santa 2012, and if there are enough bloggers then I will do it again this year. So, how does it work? Each blogger (and you don’t have to be a food blogger to take part) will give an assigned person a gift and send it from Secret Santa. The gift is to be no more than R100 (€10/$10) and is to be posted. To make sure it is feasible, bloggers will be paired with people in their own country. Last year we had bloggers from many parts of the world taking part and I hope that this year the event is bigger and better. I will keep the form open until the 5th of December. I will email everyone on the 6th of December to let them know whether or not Secret Santa is taking place this year. I am going to Johannesburg on the 28th of November and will return to Gordons Bay on the 3rd of December. I will be working full time on the 4th and 5th so I won’t be replying to any blog comments or emails until the 6th. Please only complete this form if you can commit to sending your gift by the 10th of December, which will give the postal service 2 weeks to get your gift delivered. disclosure: all information collected in this form will remain private, other than the information I need to pass on to your Secret Santa. This post is in line with my blogging policy. 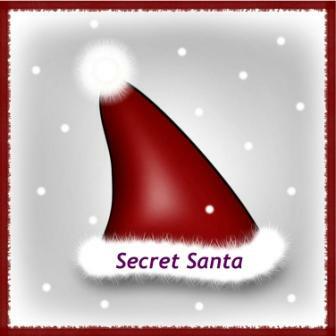 Secret Santa post is going up today!! Thank you for arranging it again!! Maybe a little off topic, however, this year my secret santa is a virgo. i got her a light-up snowman ornament, lavender candle and a small bag of potpourri. are these things a virgo would like? if not what should i get her? I can’t believe that some people did not receive gifts last year! How horrible is that!! I hope you get enough people to join this year. I thought it was a lot of fun!! This sounds like a lot of fun, I’d love to participate. Sorry, but I had to send my info twice, I forgot to add my last name the first time. Your form would not accept my URL keeps telling me ‘this picture is protected’ or something! I wonder if that is because it is a food24 site? Secret Santas can be so much fun! But as you say, only if everyone participates in them. We have one every year with family and there’s one family member that often forgets! that is terrible in a family situation! This is such a great idea! Makes me wonder if I should’ve ventured out for Black Friday, lol. Great idea, Tandy. Let’s hope you get lots of sign-ups. I cannot believe people did not send on gifts! That is so disappointing and rude! Hope you get enough Secret Santas, it was fun last year.